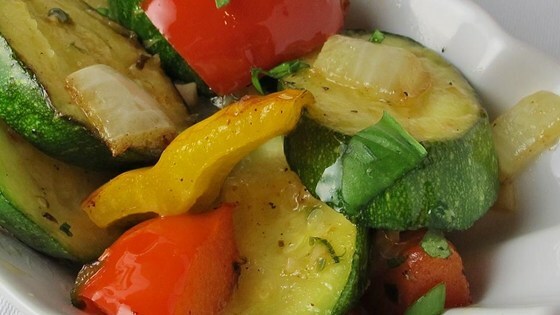 This is a delicious mix of fresh vegetables and spices lightly pan-fried with butter and olive oil. Heat olive oil and butter in a large skillet; cook and stir garlic and jalapeno in hot skillet until softened, about 5 minutes. Add zucchini, yellow bell pepper, red bell pepper, and shallot; continue to cook and stir until tender, about 5 minutes more. Season with salt, pepper, and paprika.